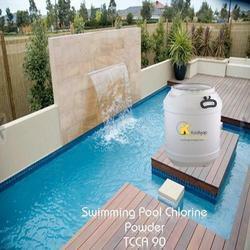 We are the leading manufacturer and wholesaler of Swimming Pool Chemical. To serve the requisite demands of our clients, we are engaged in offering a qualitative range of Trichloroisocyanuric Acid Granules. Used in the water cleaning, these are processed from quality proven chemical compounds that ensure their quality features. Moreover, our clients can avail these chemicals in numerous packaging options in accordance with client’s requirements. Owing to their brilliant properties, these are highly appreciated among our clients. 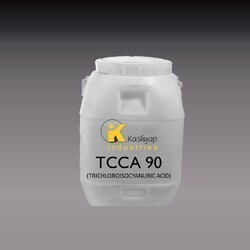 With enriched industry experience and knowledge, we are providing an excellent range of Trichloroisocyanuric Acid 90%. This array is processed using quality-tested chemical compounds and advanced technology. It is used as a disinfecting agent in swimming pools and fountain water bodies and helps in achieving sparkling clean and clear water. In addition to this, our offered chemical is checked under the supervision of quality controllers, in order to ensure their quality attributes. Owing to their quality attributes, this is extensively demanded in several industries. It is used as a disinfecting agent in swimming pools and fountain water bodies and helps in achieving sparkling clean and clear water. 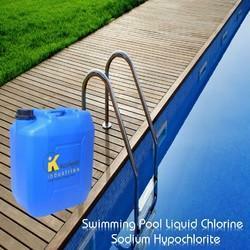 Being the leading names in the industry, we are offering an extensive range of Swimming Pool Chemical. It can be used in water treatment, especially in swimming pool water treatment, drinking water treatment, algae removing of industrial circulating water, treatment of industrial or city sewage, disinfection of petroleum well drilling slurry and sewage and production of seawater cells. Keeping track of industry defined guidelines, we process the offered range by making use of quality assured chemicals and contemporary technology. Additionally, our quality inspectors keep an eye on the entire range at every stage of production in order to eradicate any possible impurity.